Milton Keynes, Thursday: Red Bull Racing technical guru Adrian Newey once again criticised McLaren today, choosing to attack their innovative “F-duct” system amid thinly veiled calls for it to be banned. 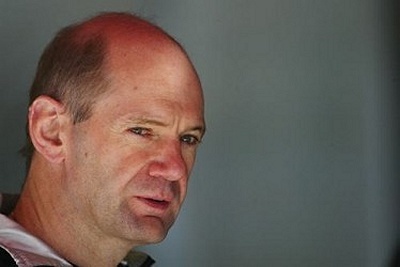 Newey, widely regarded as one of the finest F1 minds of his generation, claims that the effect of the F-duct is to alter airflow towards the rear of the car, “stalling” the brains of other teams’ designers and reducing their ability to come up with speculative and complex ways in which the system might be considered to break the rules. “The F-duct is a very clever piece of engineering, that’s for sure,” Newey said at Red Bull’s headquarters today. “However as designers we have to be concerned about the way this feature is affecting our ability to do our jobs. Other teams have abandoned legal protests over McLaren’s system and have instead focused on copying it, though Sauber have thus far discovered that poking additional holes in their already-fragile chassis is not necessarily a good idea. Previous articleHamilton criticised for "sensible driving"
Next articleHow do we go about "Improving The Show" ? Lewis: On Pole, but Not Happy?